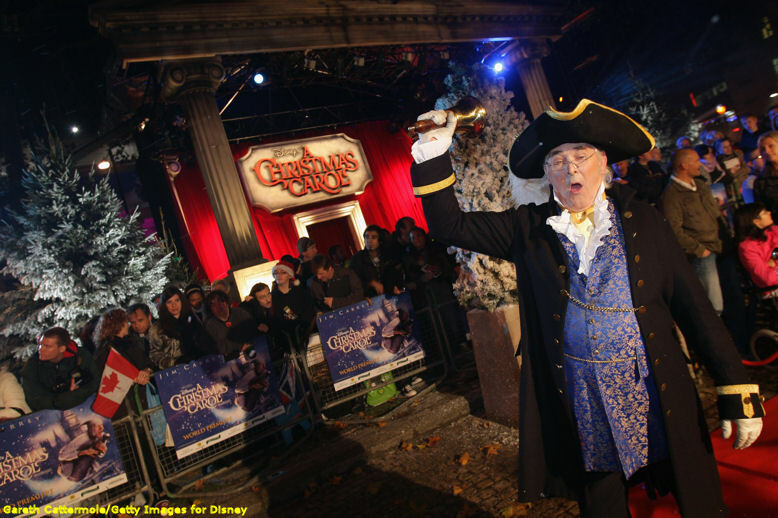 Accompanied by carolers, bell ringers and town criers in period costumes, "Disney's A Christmas Carol" made its world premiere Tuesday night in London's Leicester Square. 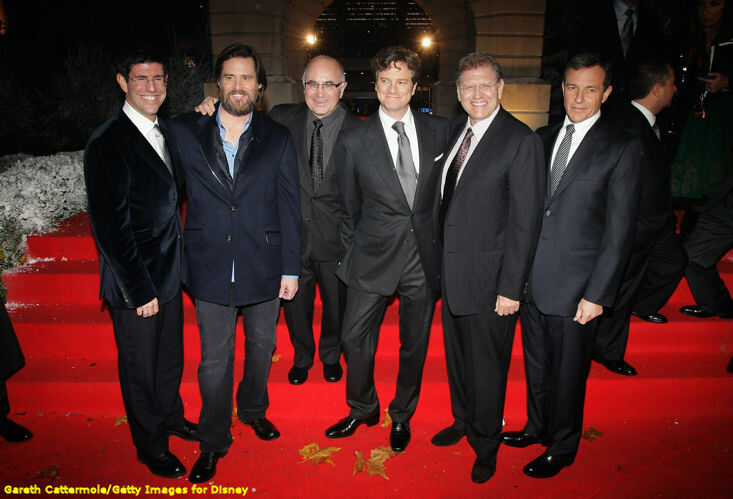 Robert Zemeckis' 3D motion-capture animated take on the Dickens classic stars Jim Carrey as Ebenezer Scrooge and the Ghosts of Christmas Past, Present and Future. The cast also includes Gary Oldman (Bob Cratchit), Colin Firth (Fred) and Bob Hoskins (Fezziwig). Early reviews of the film have been decidedly mixed. Critics are praising the improvements to Zemeckis' performance-capture animation (it's come a long way since "The Polar Express"), but question whether it's a bit over-the-top for this simple and oft-told tale of ruin and redemption. Scrooge's story was never meant to be a thrill ride. 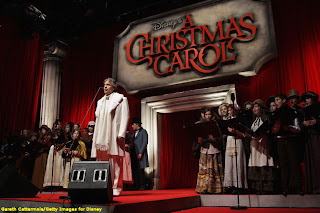 "A Christmas Carol" opens in the U.S. on Friday in both conventional and IMAX theaters.